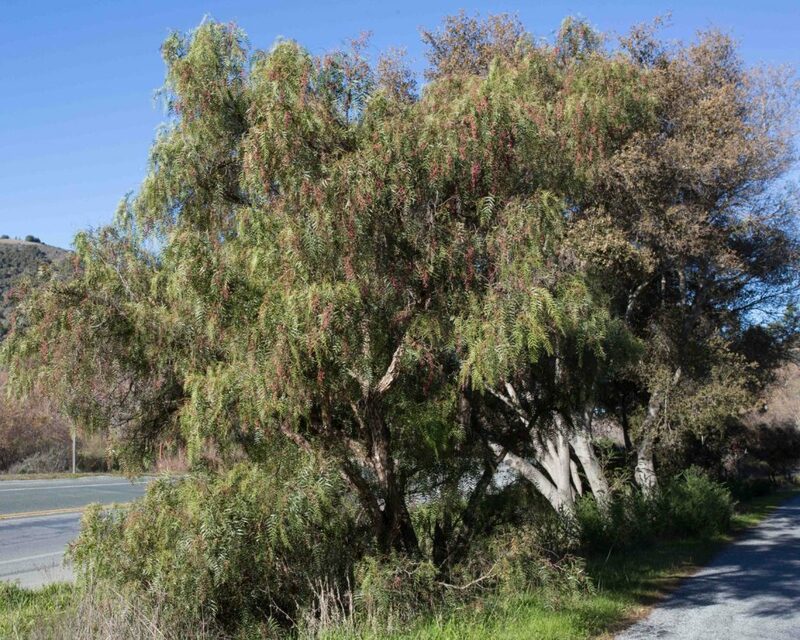 With the exception of Blue Gum (Eucalyptus globulus) the trees on this page are not commonly found but several of them can be invasive if they escape for cultivation into a favourable habitat. 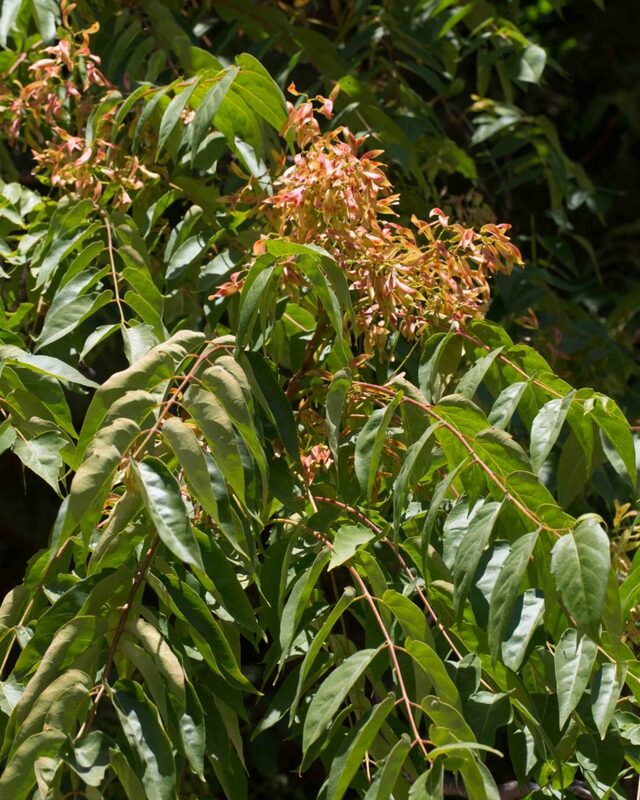 A Peruvian native, this is a common ornamental tree with slender pinnate leaves and panicles of numerous very small white flowers followed by dry, reddish berry-like drupes. 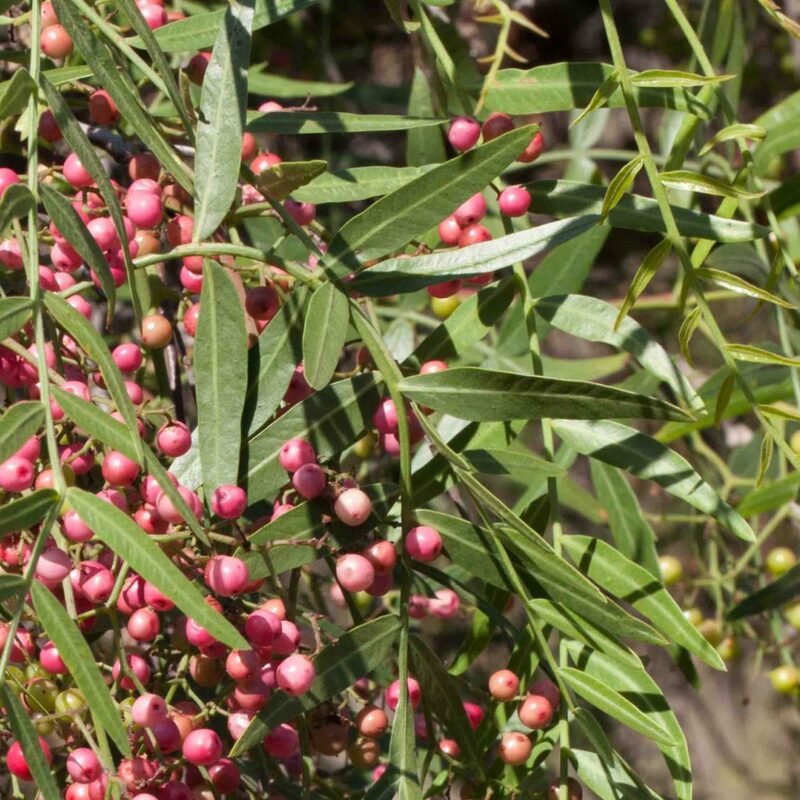 These are the source of the spice known as pink peppercorns which have a somewhat peppery flavor. 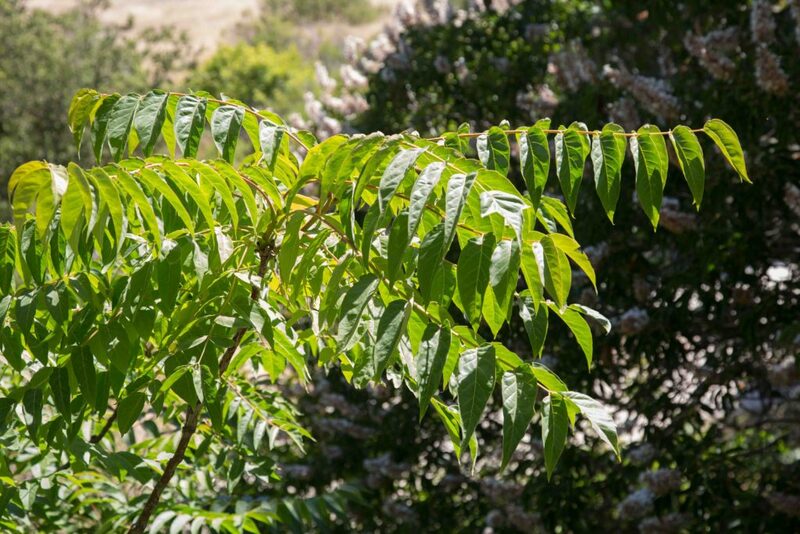 Other members of this family include Poison Oak (Toxicodendron diversilobum) and the cashew tree. 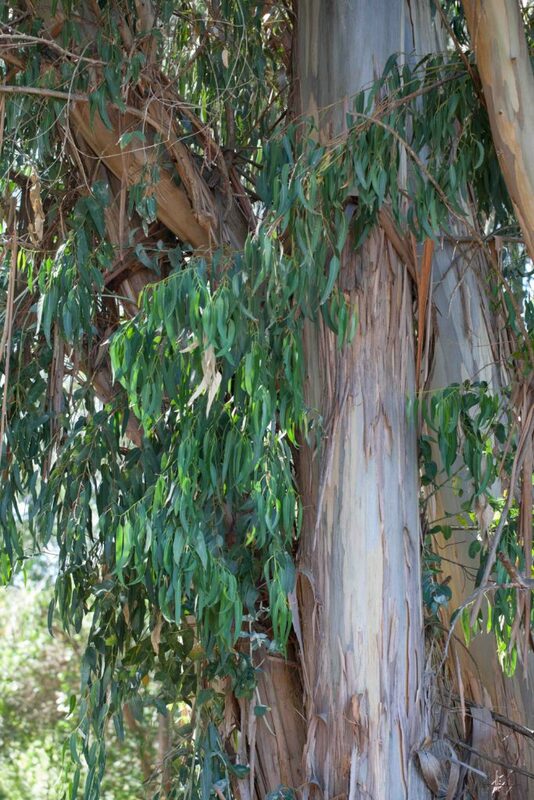 The tree can easily become invasive. 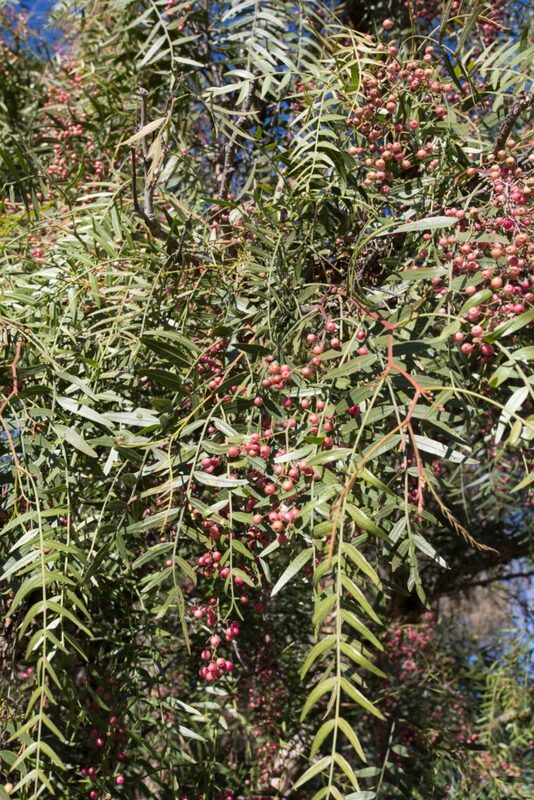 A related species, Brazilian Pepper Tree (Schinus terebinthifolia) is sometimes found, very similar in appearance but with shorter, broader leaves. 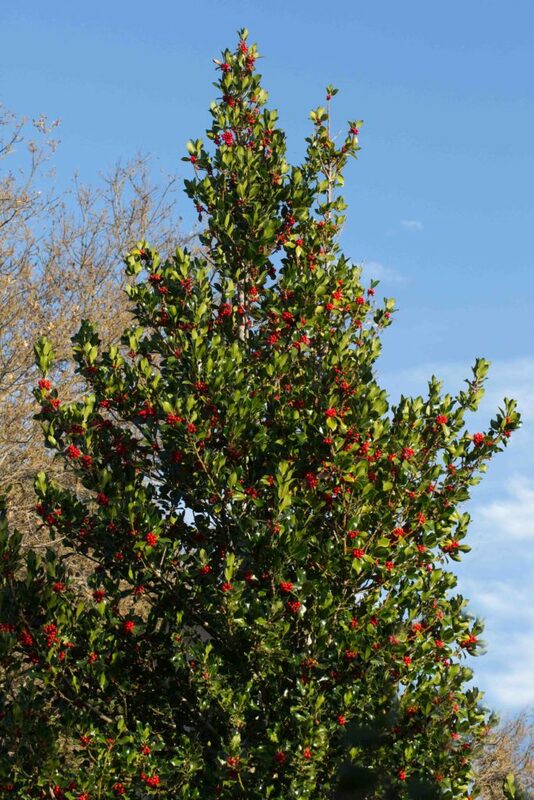 Commonly cultivated for its showy fruit and moderately invasive in the wild. It is immediately recognizable by its shiny, dark green, oval leaves with long pointed spines, 3 to 5 on each margin. The underside of the leaf is paler in color. 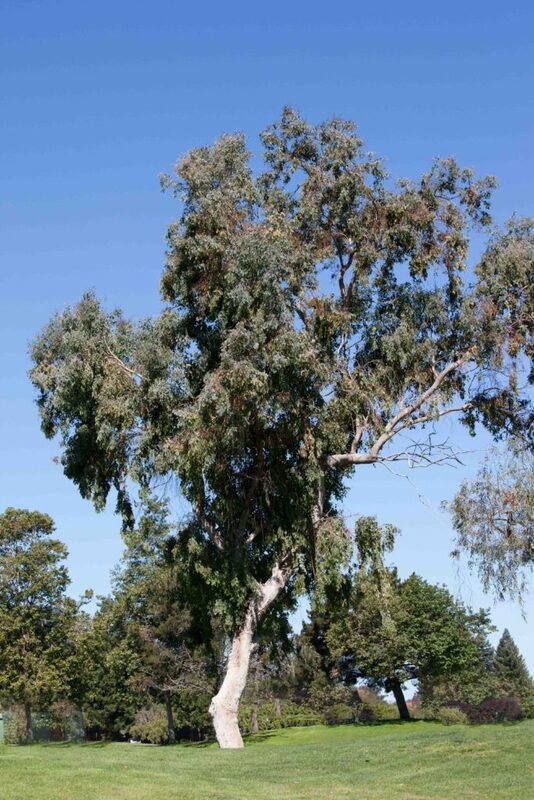 The tree is dioecious. Male flowers are small and yellowish. Female flowers are small and white or pink-tinged. 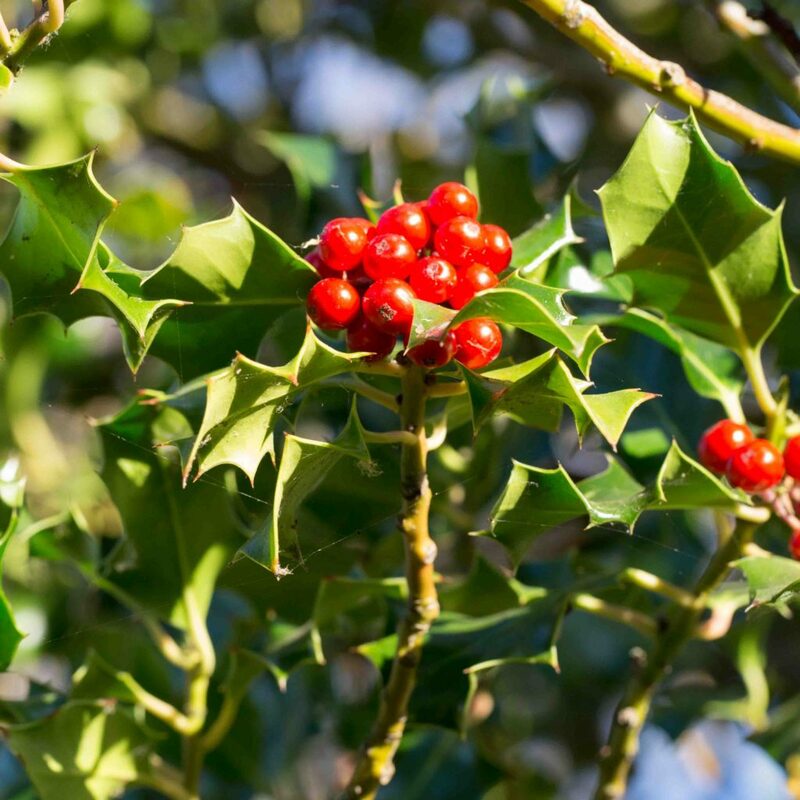 The bright red berries are, together with ivy, indelibly associated with Christmas in northern Europe. 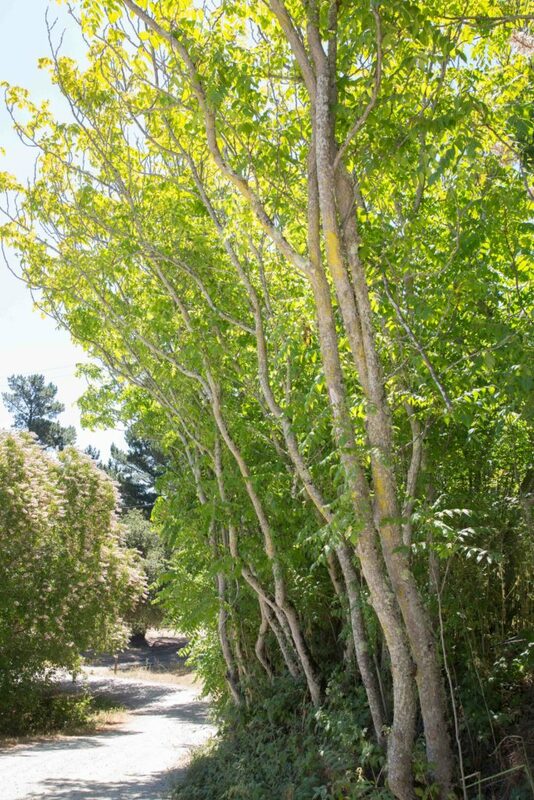 This tall tree is immediately recognizable with its long, narrowly lanceolate, pendulous leaves and shredding bark. 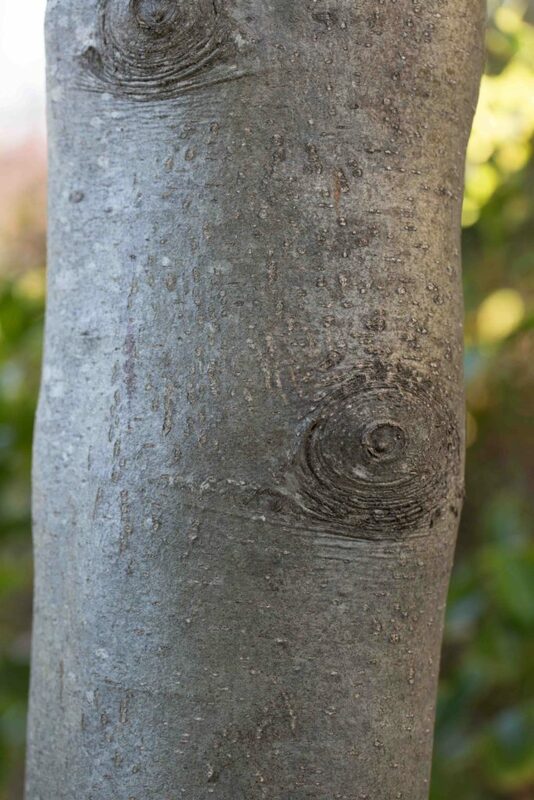 Leaves are narrowly lanceolate, often sickle-shaped, blue-gray in color, much more obviously bluish when young. 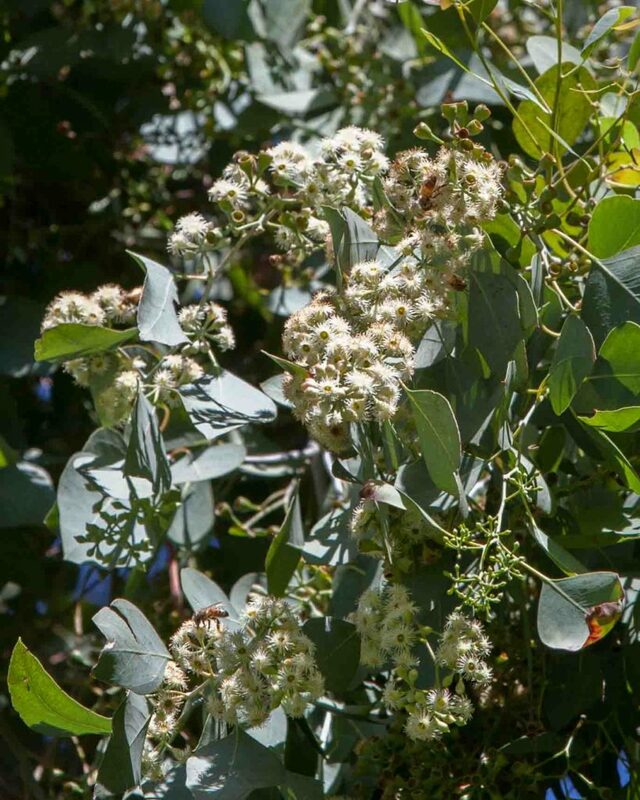 It bears striking flowers with many white stamens. 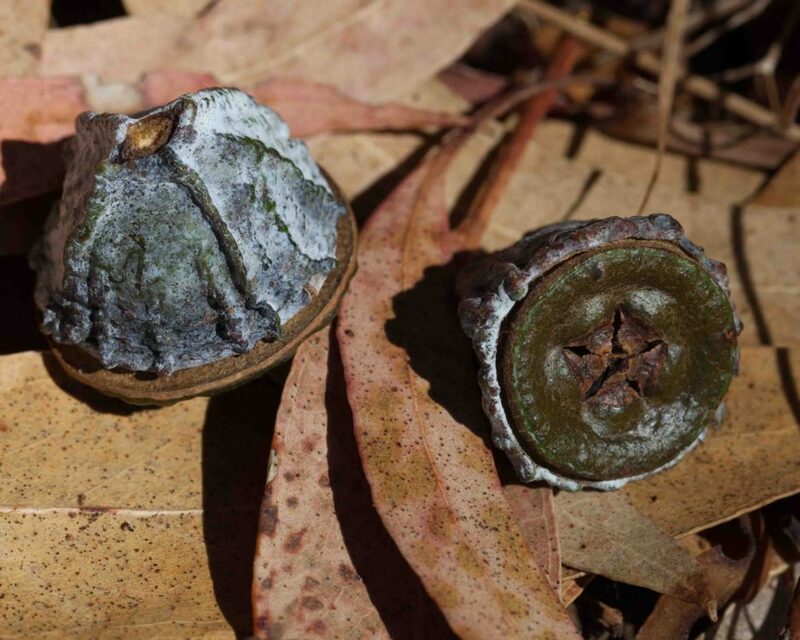 The fruit is a four-part, woody, warty capsule. 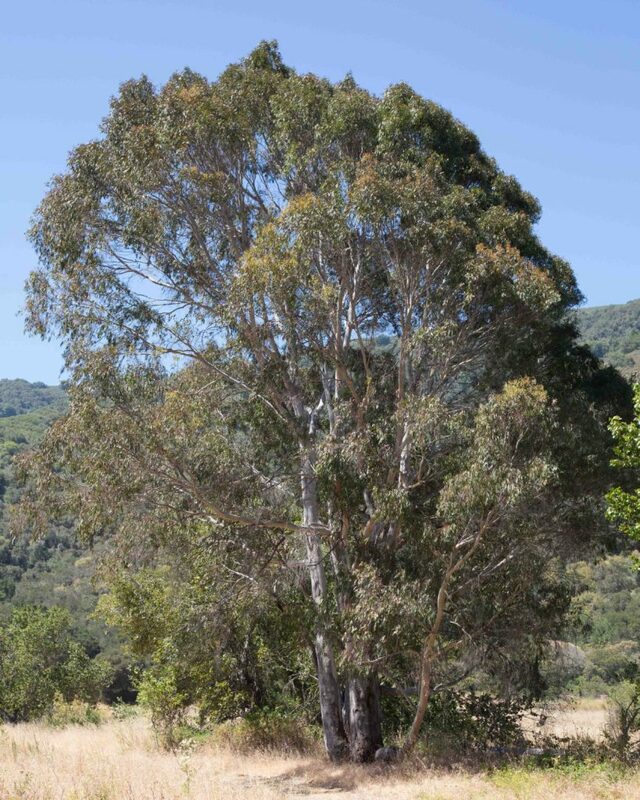 According to the Jepson Manual, this is the most widely cultivated and naturalised and tallest flowering tree in California. 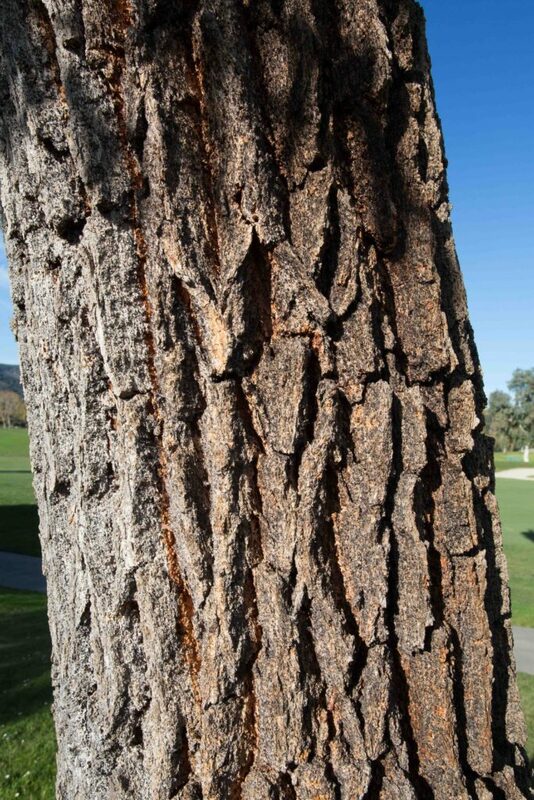 It unfortunately contains volatile oils which make it highly vulnerable to fire. 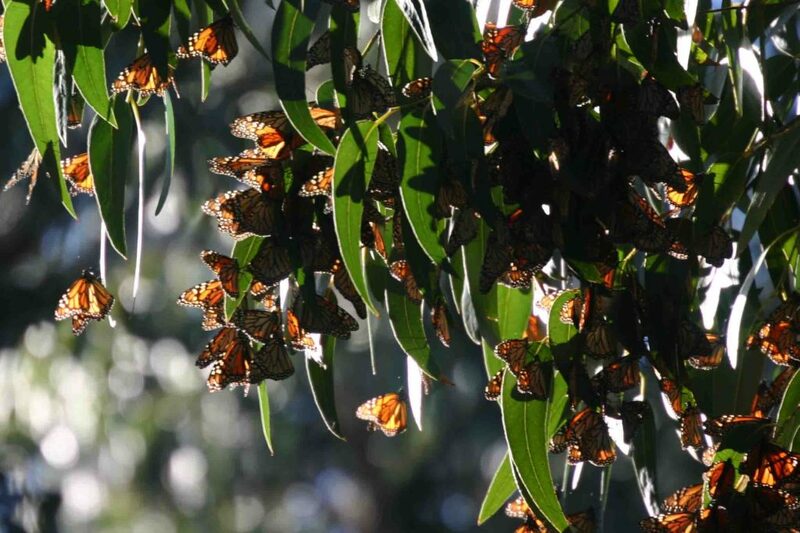 It has one significant redeeming feature which is that in some places (such as Pacific Grove and Andre Molera State Park, the Monarch Butterflies love it and congregate on the trees in huge numbers during their winter migrations. 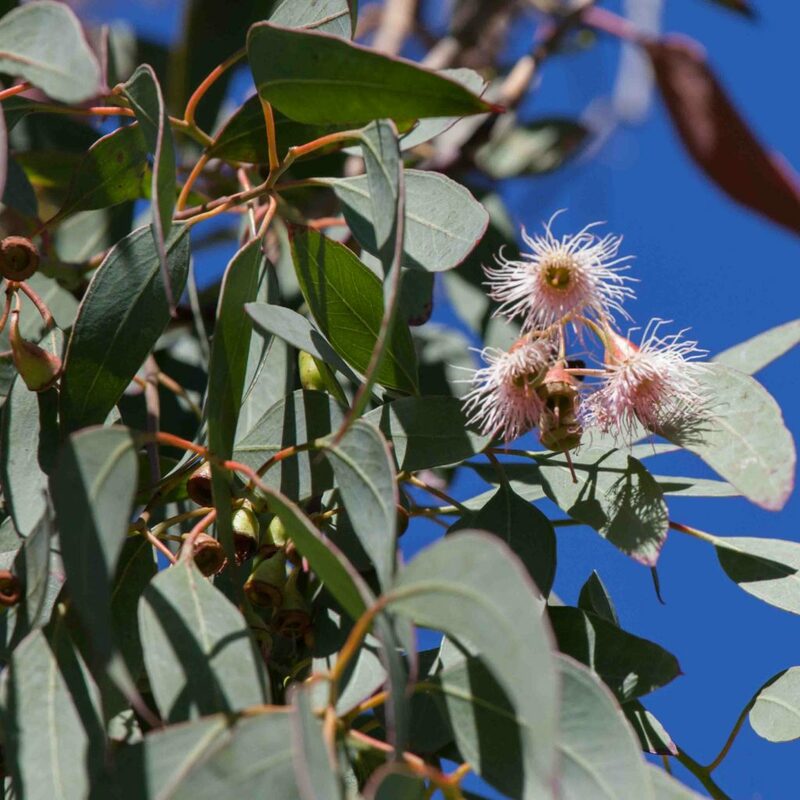 Native to southeastern Australia. 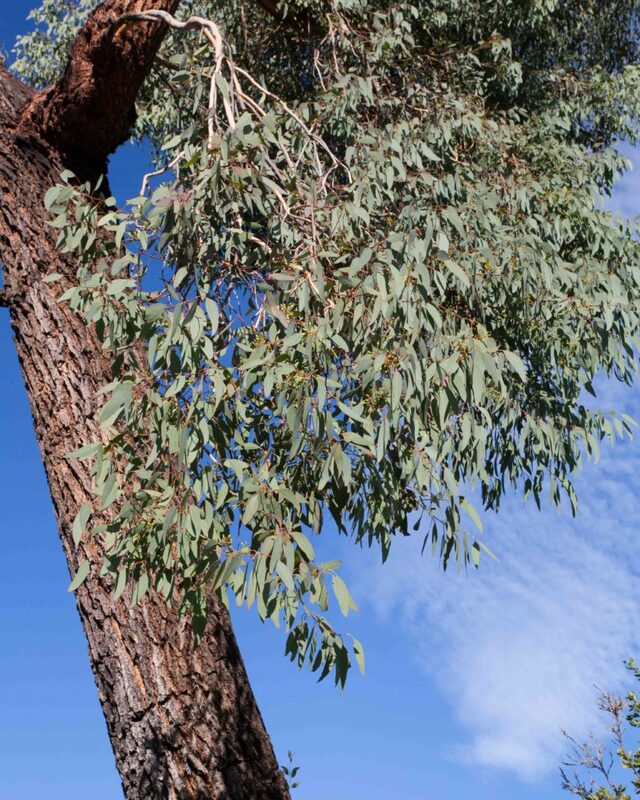 This is much smaller than Blue Gum (Eucalyptus globulus) and much less common. 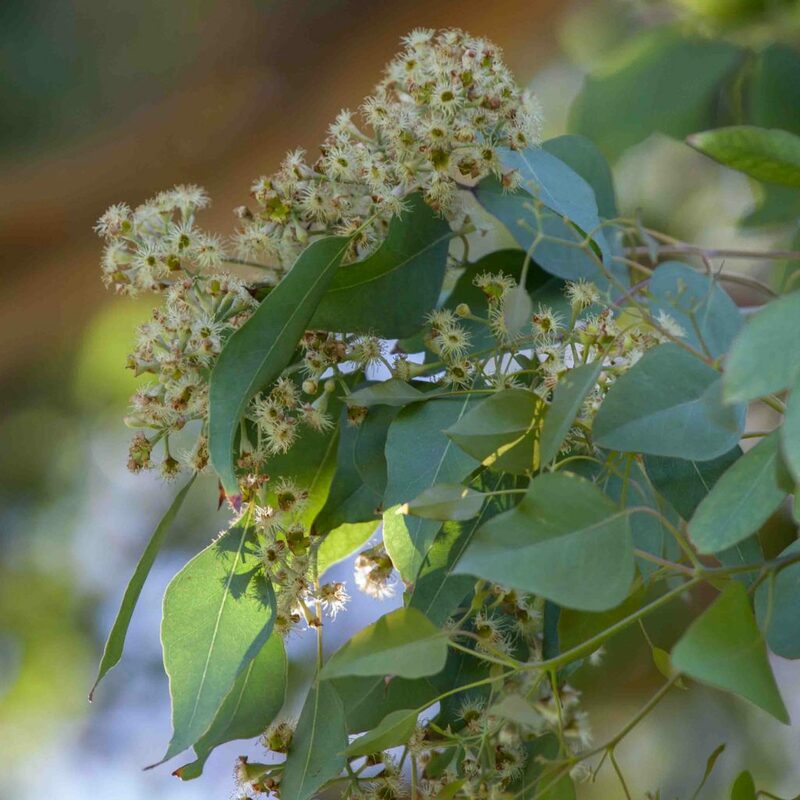 Its flowers are white, but much smaller than Blue Gum as are its pear to bowl-shaped fruits (5–6 mm vs. 2 cm). The leaves are elliptic to ovate, 5–10 cm long, gray-green to blue-green in color. 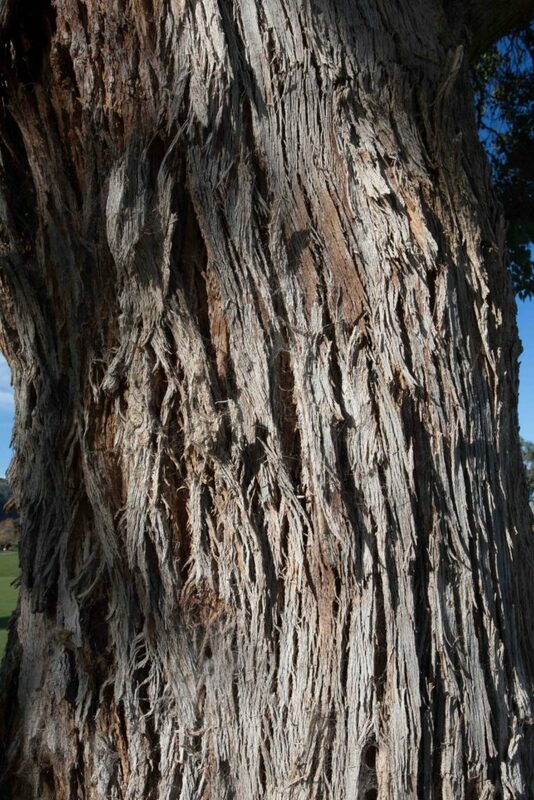 The bark is shredding though less marked than in the case of Blue Gum. 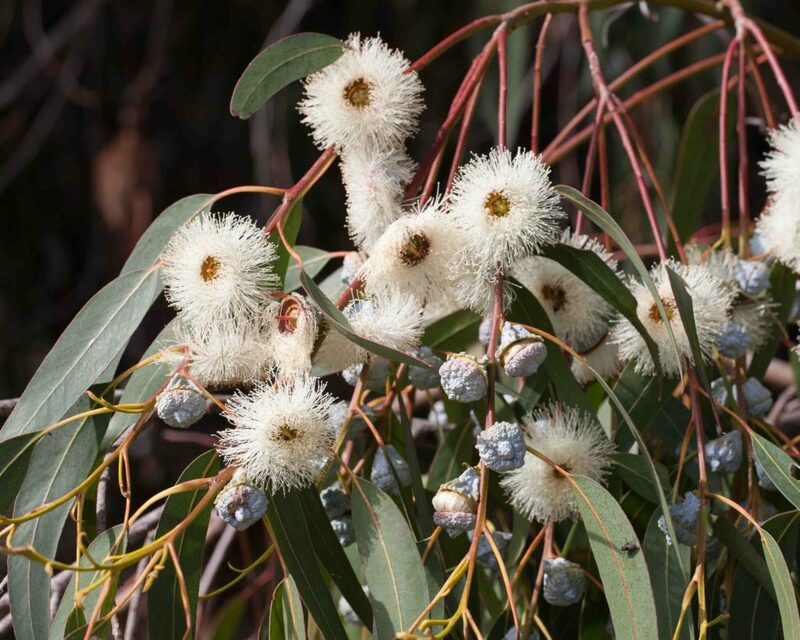 Native to southeastern Australia. 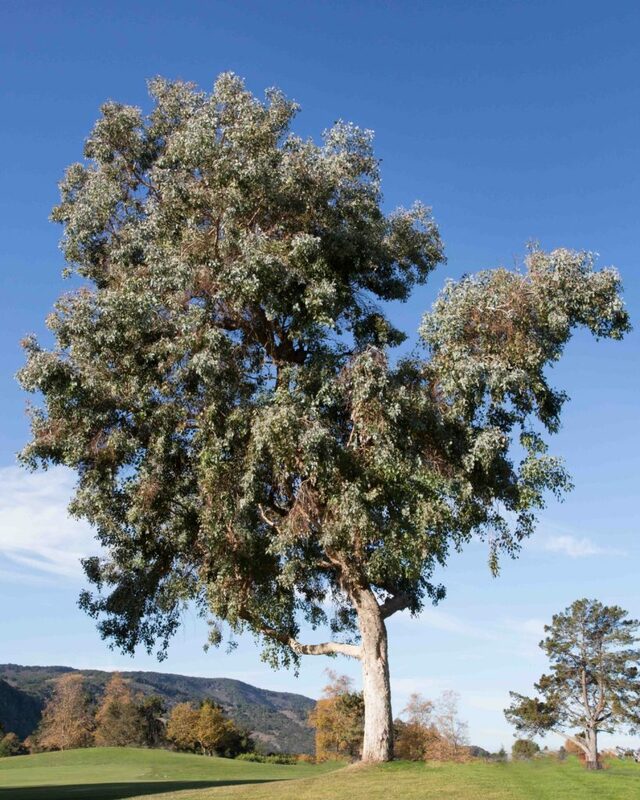 This is similar in size to Silver Dollar Gum (Eucalyptus polyanthemos) but differs from it in several ways. Firstly, the flowers are pinkish-red rather than white. 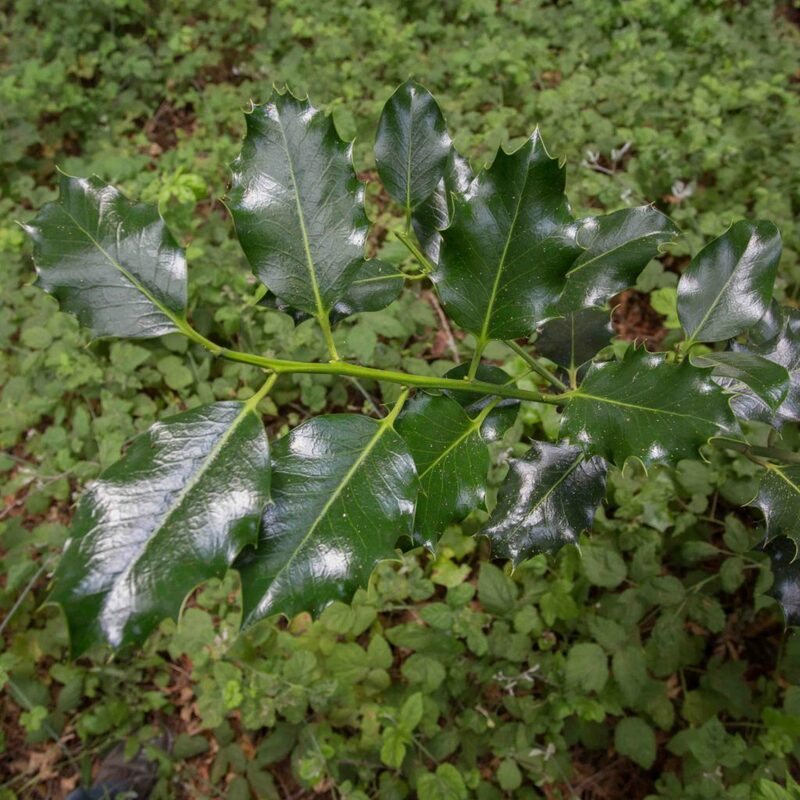 Secondly the leaves are lanceolate and slightly sickle-shaped, gray-green in color. 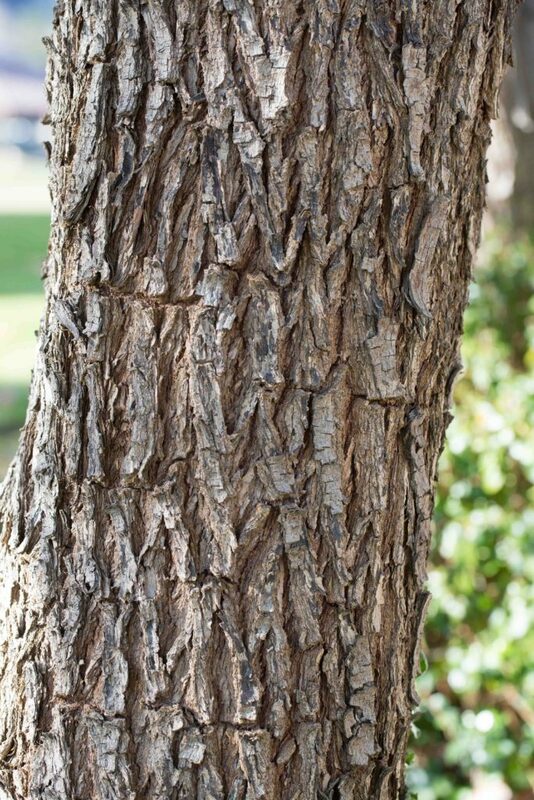 Third, the bark is is dark brown to black, deeply furrowed and not shredding. Fruits are a little larger (± 1 cm) and ovoid in shape. 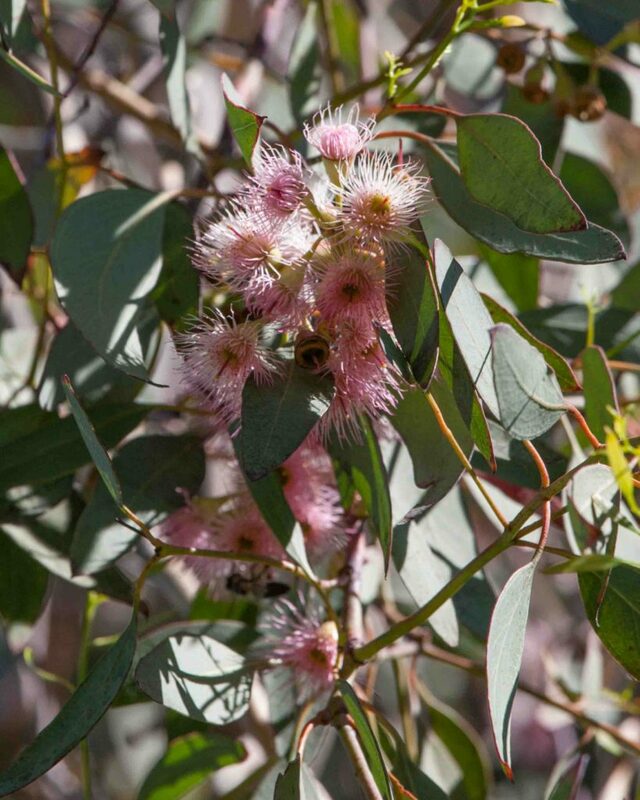 Native to southeastern Australia. 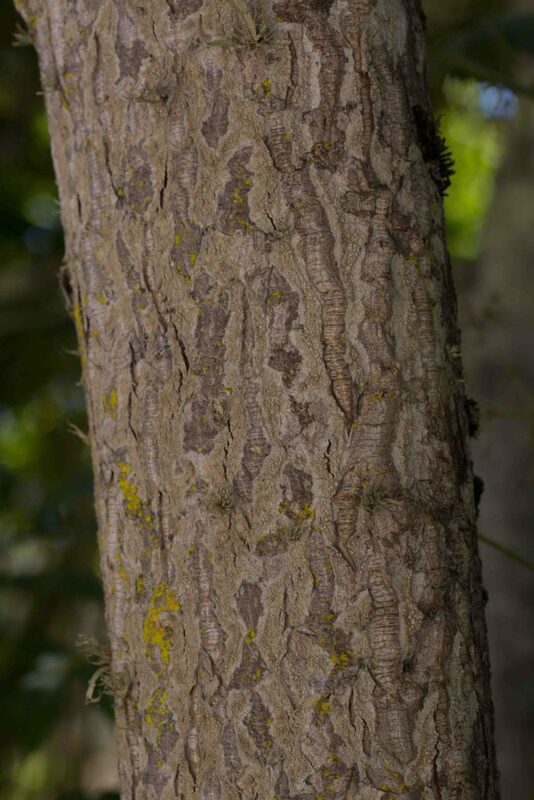 This is often planted as a decorative tree but it spreads aggressively and is classified as moderately invasive. 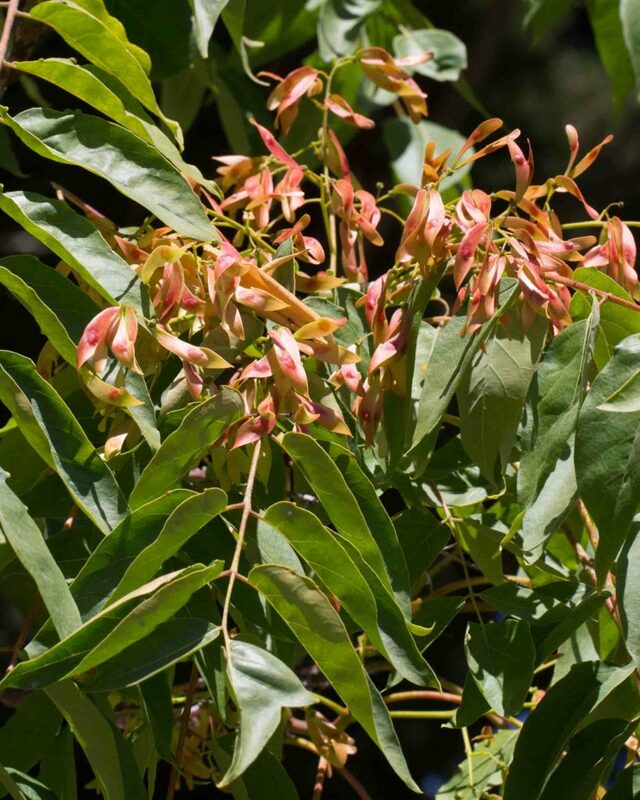 It has distinctive pinnate leaves with 10–41 lanceolate leaflets, each 5–18 cm long. 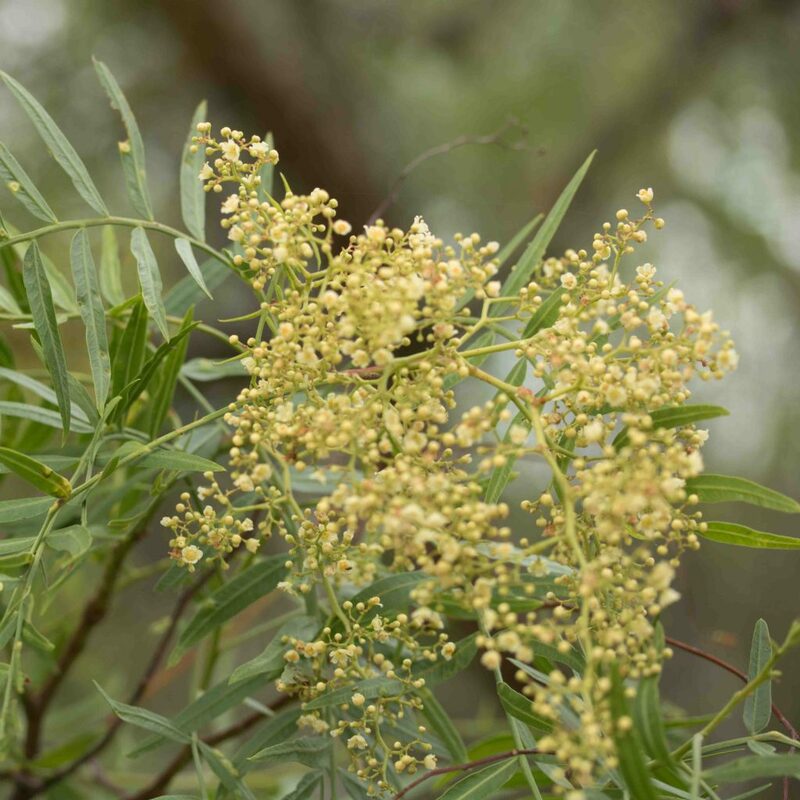 It is dioecious, with male and female flowers borne on separate plants. 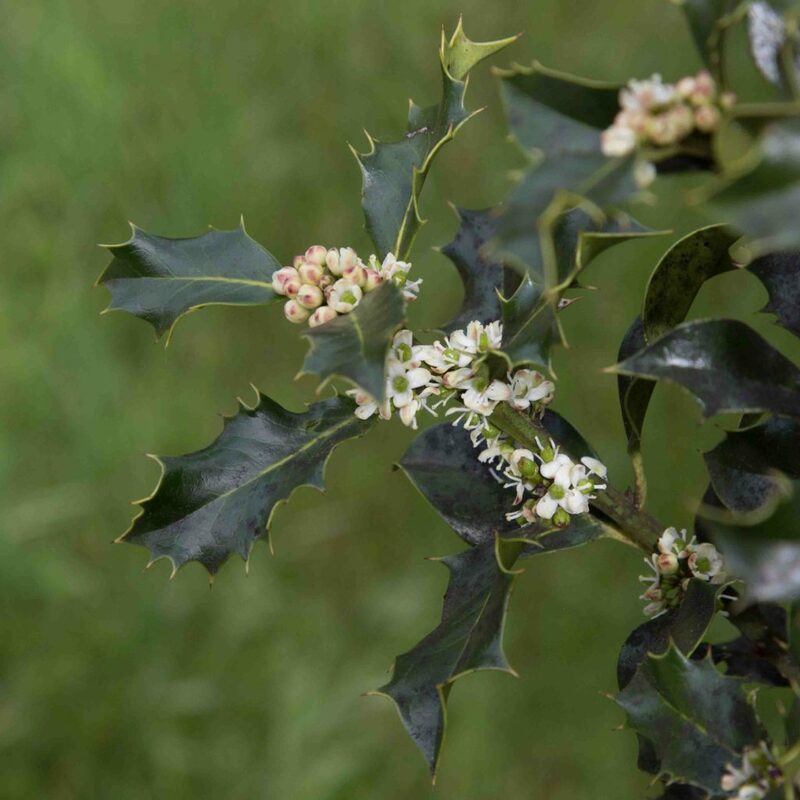 Flowers are in long panicles, yellowish-green to red, the male flowers being the more conspicuous but giving off a rather foul smell which attracts the pollinators. The female flowers produce small seeds encased in reddish-orange winged samaras.